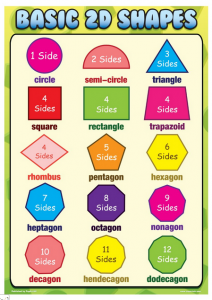 Math – Currently, 2nd Graders are busy learning about 2- and 3-dimensional shapes and solids. They are naming them; triangles, quadrilaterals, pentagons, hexagons and octagons. They are learning the attributes of polygons and discerning non-examples using those attributes; closed, 2-dimensional shapes with only straight lines. 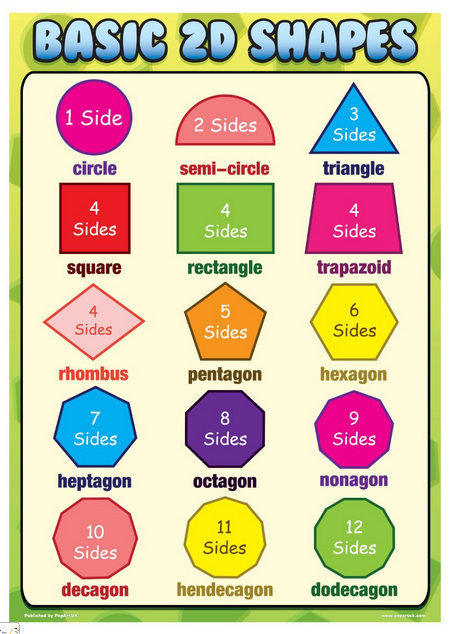 Students are also learning to name shapes and solids by counting the number of sides or vertices, edges and faces. Soon we will start our unit on measurement. Students will use rulers, yard and meter sticks to measure objects in their surroundings. They will practice estimating lengths, learn how to calculate areas. Reading – Our big focus in reading this month is to read nonfiction text and find the main idea and details in the text. We are teaching our students how to find proof in the text to answer questions. After reading the text, they read the question and then go back to the text to find where the answer is. Some common weaknesses that we are working on is using context clues to find work meanings in the text and inference. Context clues can usually be found before a vocabulary word or right after the vocabulary word in the text. Helping students recognize where it can usually be found helps them increase understanding when they read. These skills will help our students as they begin work on their research project on animals. Writing – 2nd Grade finished up writing personal narratives and celebrated their writing by sharing their stories with each other. We are going to connect what we are learning in science to our reading and writing. Each student is going to pick an animal that they are going to research through means of books, magazines, and the internet. They are then going to make a list of questions that they want to know about their animal. Next, they will research to find information of their animal and fill out their question form. Finally, they will make an animal trading card for their animal sharing all the information they learned on the back of the card.